In May 1772 settlers established the first free government in North America as they formed the Watauga Association. The governmental body provided for the protection of the new colony and organized its own judicial and civil laws. Under this sycamore tree convened the first court of the Watauga Association that same month. Among the judges were Nashville founder James Robertson and Tennessee’s first governor, John Sevier. 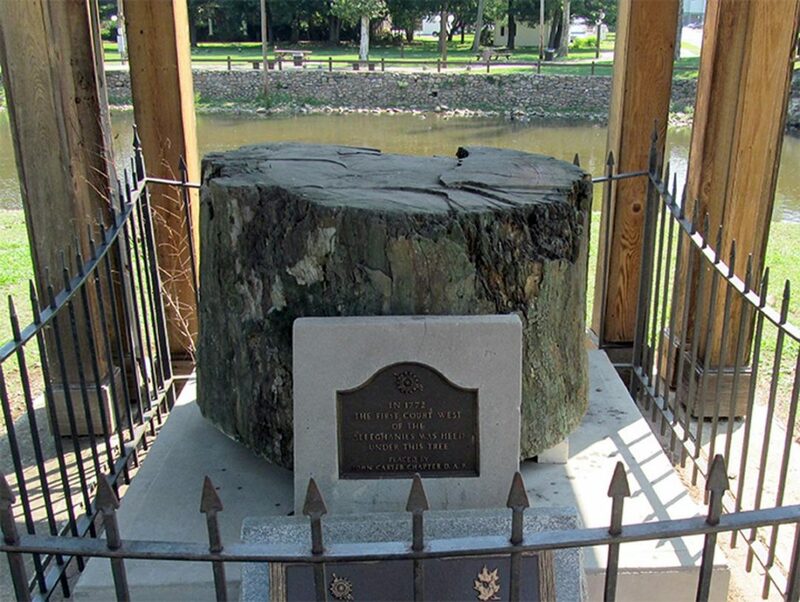 The sycamore eventually succumbed to disease and age, and the stump still stands near the old covered bridge in Elizabethton. 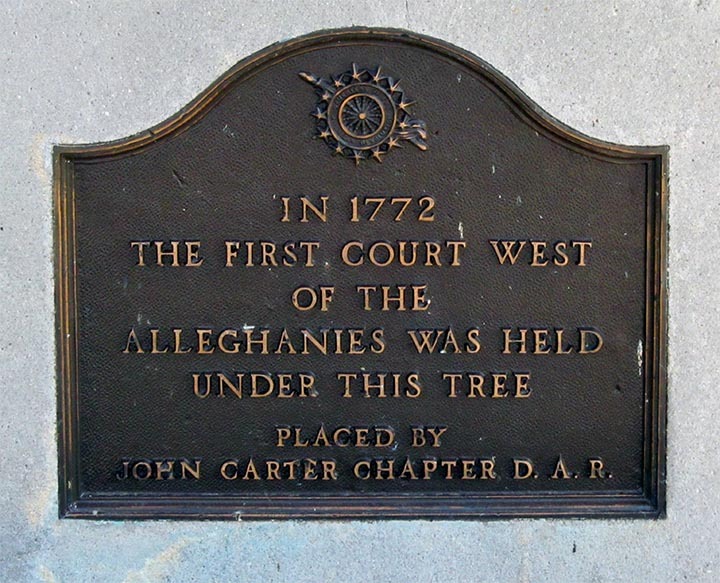 The John Carter chapter of the Daughters of the American Revolution erected a shelter to protect the remains.